Today the wait was over – the second half of season 7 of Dr. Who has started. I bet that most views of the show happened on the official channels like BBC America here in the US of A, but, as we are out in the boons, with the cable left behind, we depended on the good old pirate bay to get our fix of Dr. Who (obviously this is a lie, as we would never download any tv show illegally.) Had we actually looked at the torrents we would have been surprised by all the buzz on the interconnected pipes that make up the internet. Way over 2000 seeders is rather rare, and still, download speed would have been – had we done that – still rather slow, so there would have been many, many people as excited to find out about the Doctor’s new adventures and all with a new companion. Had we been able to watch the show after downloading it illegally we would have been able to actually watch it on the west coast before it officially aired. As I write this, it’s only a bit after the show ended and we would have finished it hours ago – way ahead of all the people waiting for the BBC to start it – Man – are time zones cool, or what? 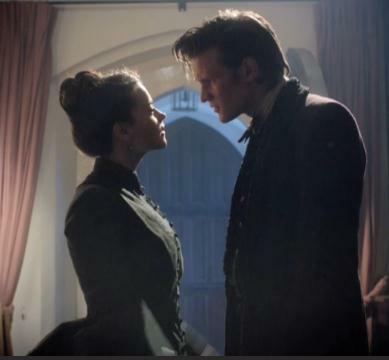 I’m really curious if the Doctor will get lucky with this companion, but I’m not really holding my breath as one of the big tensions in the series is that that never happens. Strange things can happen if time travel is involved, like Amy turning out to be the Doctor’s mother in law – who comes up with those things? This entry was posted in Art, Computer, Internet, Stories, Technology and tagged bbc america, buzz, doctor who, dr. who, new companion, pirate bay, time travel, torrents, tv show on March 30, 2013 by Merlin Silk.